@ Leona, depressing? I think the music is uplifting and motivating! Leona, Mercy tends to confuse Logon screen music with uplifting and motivating music. Watch out. She might dislike this accusation. He knows I don't. I think that's why he posted it in the first place. I like how you know that I'm not here to annoy you. Of course not, but I can try to annoy you a little! Are you implying that I can't annoy you? Everyone can, I'm a short tempered person, but I usually give a large credit to people that I like. However, I'd like to see it happening only because I haven't seen it so far. Is that a picture of you and Obnoxious on that date I heard about? OMG! I'm finally getting the picture. 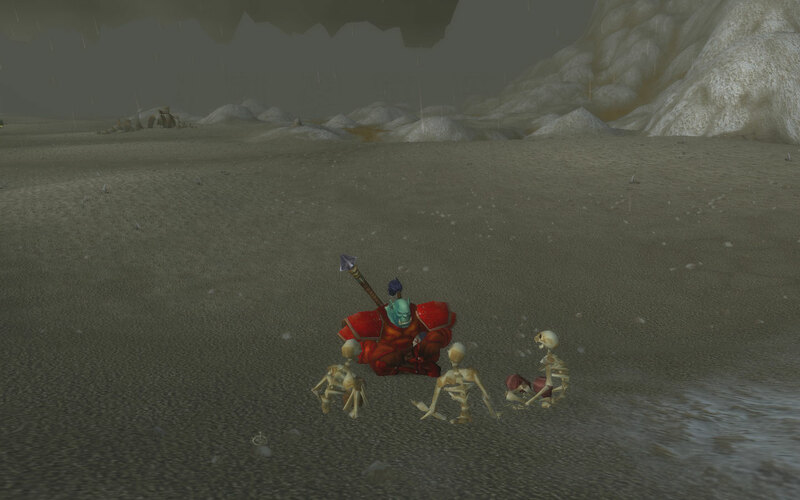 I'm thinking a lot about my life while grinding quests in Icecrown.